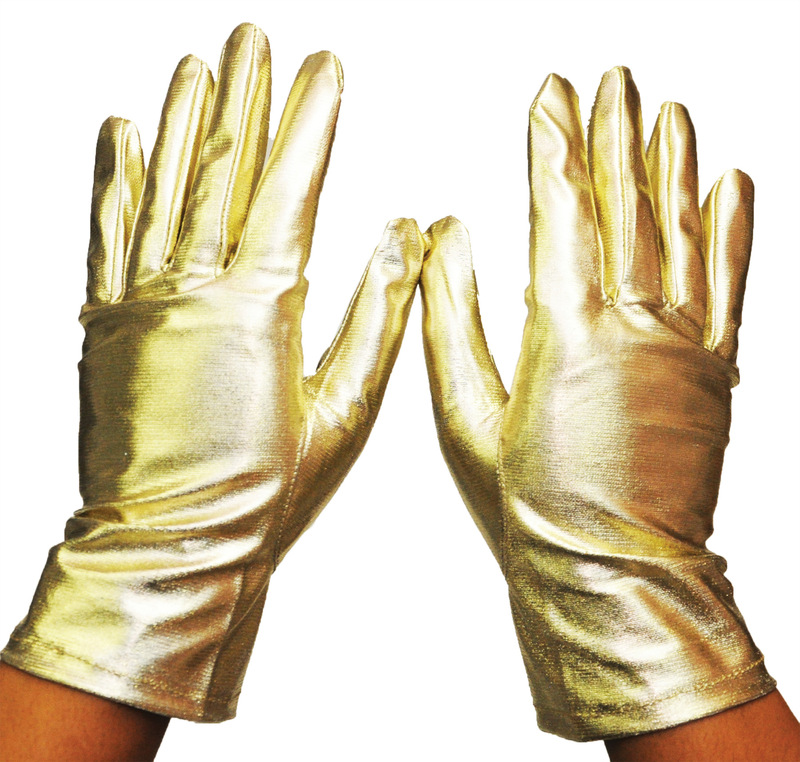 Size: Small, Color: Gold is currently out of stock! 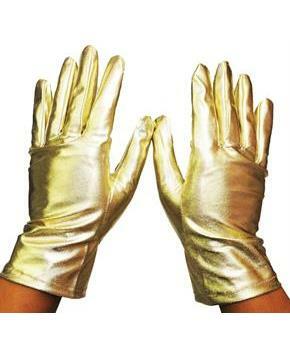 Wrist length gold metallic stretch nylon gloves. Fits average men's and women's hands. Length is approximately 9 inches, and the width about 3 1/2 inches.